Red Cross first aid 1,000,000 persons have learned the right way - the Red Cross way of cheating death from accidents. 1919. 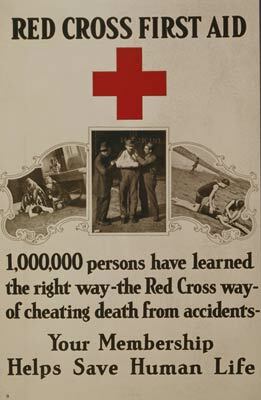 Poster features three photographs of people receiving first aid.